Gorgeous Bay/Marina Views from 2 Relaxing Decks! 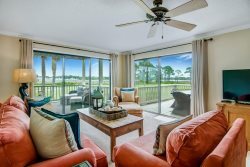 Beautiful 2 Bedroom Condo in Sandestin Resort! Golf Cart Included! Pool/Beach Access!